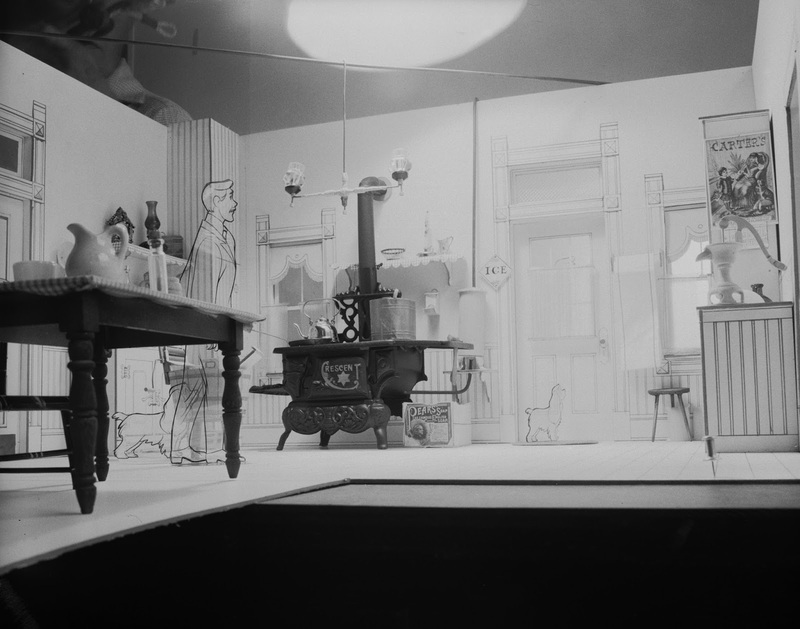 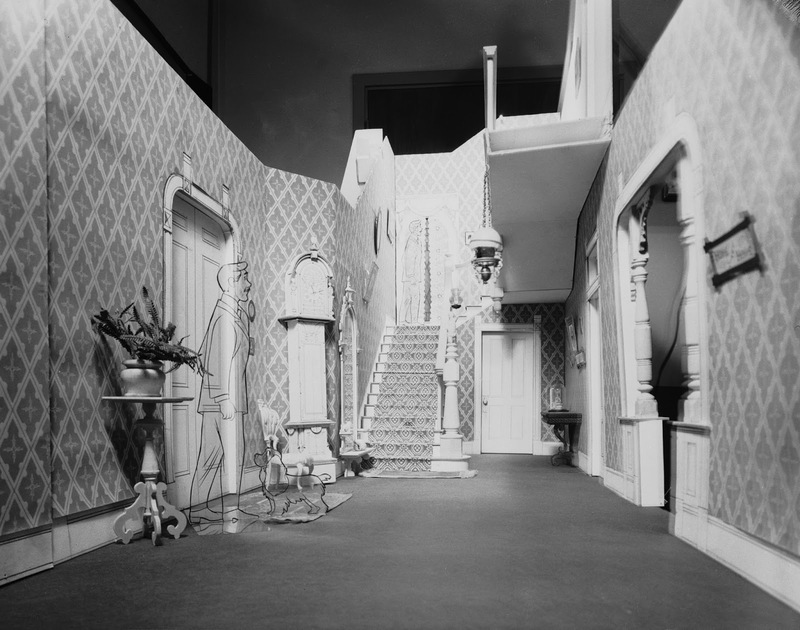 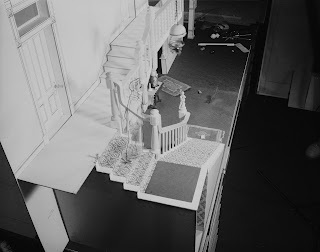 These three dimensional models were built to help Disney layout artists visualize the perspective for specific interior scenes. 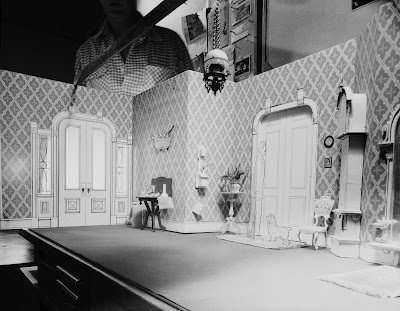 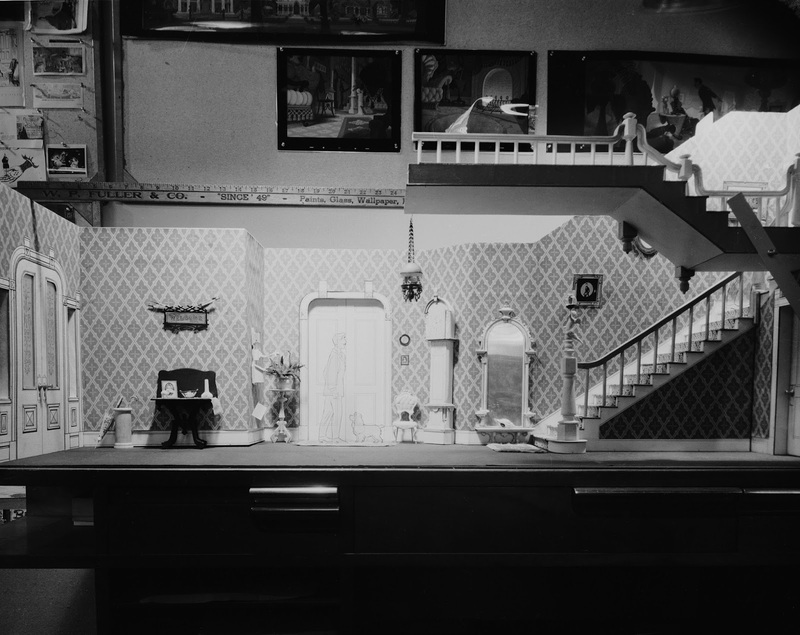 Look how detailed they were put together, with furniture, props , even wallpaper design. 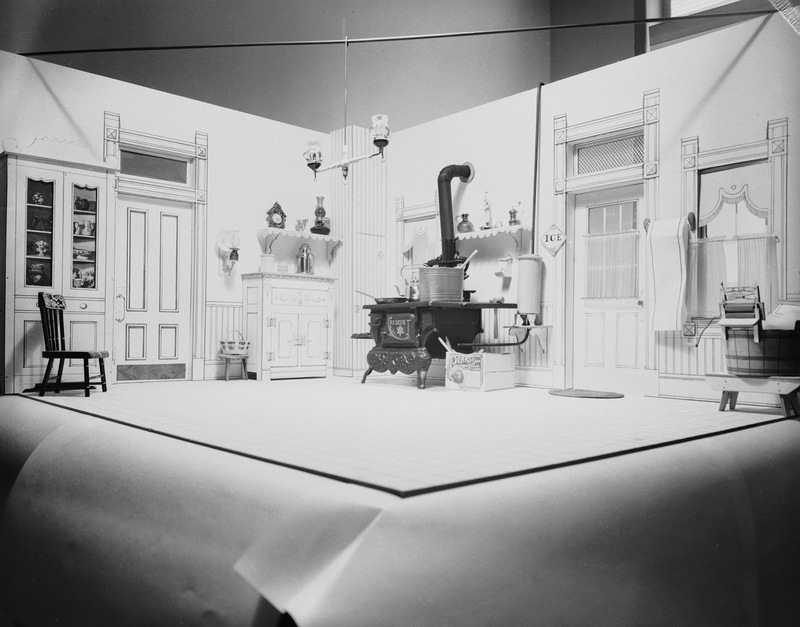 It makes total sense to offer this kind of visual reference to the layout department. 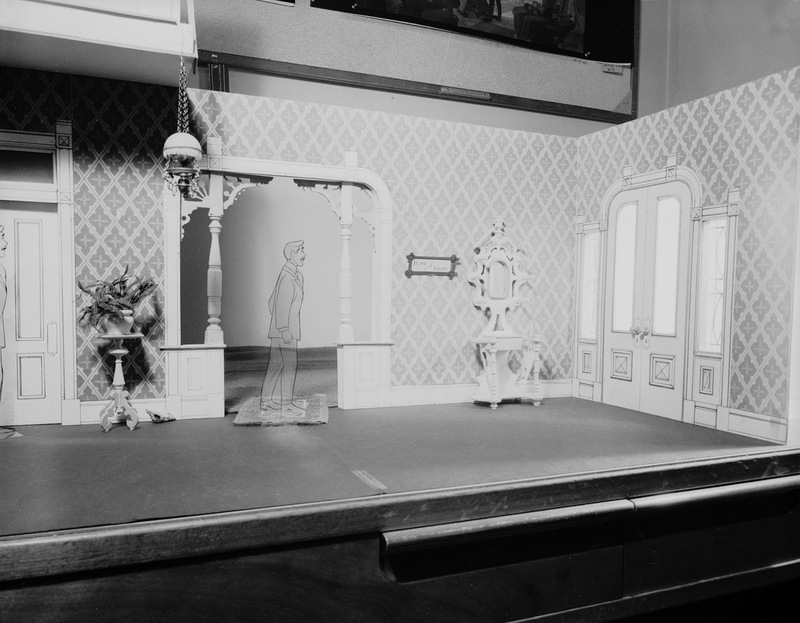 I just wonder why there were no models like these made for films like Snow White, Pinocchio or Peter Pan. 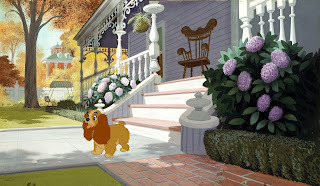 Even the movies that followed Lady & the Tramp didn't have this kind of reference. As far as I know 101 Dalmatians and The Sword in the Stone were all laid out without the benefit of miniature sets. Final frames from the film show the result of all the research that went into creating believable environments.